Via Microsoft’s third annual Airband Grant Fund, Nigeria’s AgriTech startup, ColdHubs, Rwanda’s MeshPower & Kenya’s Agsol have received an amount of funding for using TV white spaces and other technologies to expand access to internet-enabled solutions. Microsoft wants these startups to keep doing what what do and improve internet access in the continent and beyond. Others that were also awarded grants include V Wireless, Skylark Wireless, Tribal Digital Village and Numbers4Health and ME Solshare from Bangladesh. They hold the belief that these start-ups are overcoming barriers to provide affordable internet access to unconnected and underserved communities using TV white spaces (TVWS) and other promising last-mile access technologies. Access to internet is one pillar now taken seriously by both companies and individuals. It could be said to be the backbone of a community. Evident is the recent launch of Google station in Nigeria, which aims to provide free internet access for citizens. 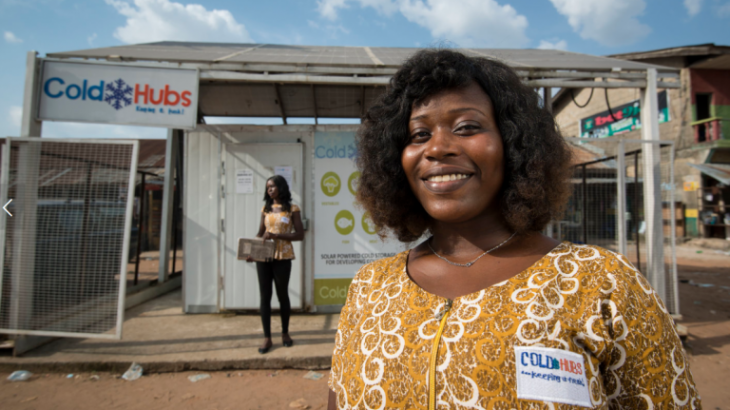 Coldhubs, an AgriTech company are also transforming their refrigerated crop storage rooms into Wi-Fi hot spots using TVWS technology to empower smallholder farmers. There’s no stopping what access to the internet can do to different sectors. For agriculture, in Coldhubs case, it’ll enable farmers to get online and access agricultural training, resources to improve crop yields and marketing and digital skills training. Funding Airband grant, Coldhubs, Microsoft. permalink.